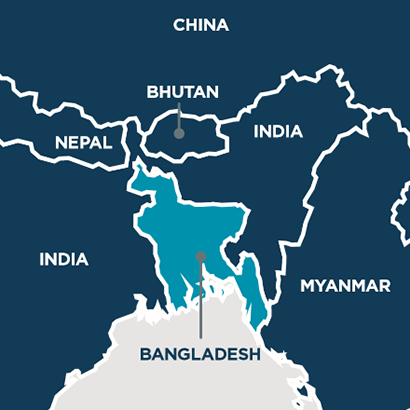 The client entered into a joint venture with a Bangladeshi power company to develop a coal-fired power station in Bangladesh in BOO form. We assisted the client in conducting due diligence on the legal and regulatory environment, the project and counterparties, and reviewing and commenting on project documents. We are also acting as borrower’s counsel in relation to the financing for the project from a Chinese bank. This project is one of the client’s first significant outbound investments. The project documents are based on Bangladesh’s model forms, but there were inconsistencies and conflicts. A detailed risk matrix is advisable to understand whether and how risks have been properly passed through or dealt with. Beijing Gas Group entered into transaction agreements with Russian state-owned company Rosneft for the acquisition of a 20% stake in Verkhnechonskneftegaz and cooperation in the gas business. Verkhnechonskneftegaz is engaged in the exploration and development of the Verkhnechonskoe oil and gas condensate field, one of the largest in Eastern Siberia. We provided full legal assistance to Beijing Gas Group, including the coordination of negotiations which took place both in Moscow and Beijing, advice on merger control issues and sanctions. The transactions were signed during a meeting between the prime ministers of Russia and China in St. Petersburg, Russia on 7 November 2016. We mobilised teams from our Beijing, Moscow and Hong Kong offices to assist the client in obtaining relevant approvals and mitigate the sanctions risks. 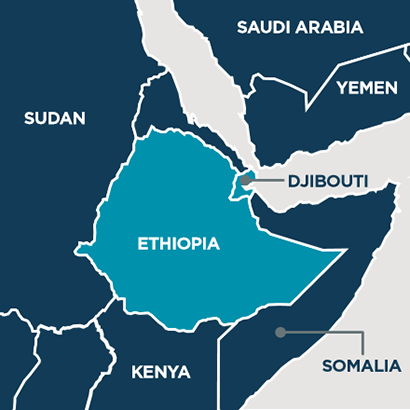 The Ethiopia-Djibouti gas to LNG mega project is one of the largest gas projects in Africa The Djibouti Minister of Energy has noted its importance in fostering closer economic ties between Djibouti-Ethiopia-China. The project involves the development of the full supply-chain: from upstream gas field development in Ethiopia; cross-border gas pipeline into Djibouti; LNG liquefaction in Djibouti and then onward LNG sales. We have advised Poly-GCL on all aspects of the project to date including its negotiations with the respective governments, its upstream development, midstream and downstream. Our involvement in the project is ongoing. The project won “Energy & Resources Deal of the Year” at ALB China Law Awards 2017. Vitol SA owns, through a Ghanaian subsidiary (VUGL), an interest in a license for the exploration, development and production of oil and gas in the Offshore Cape Three Points block, in the Tano Basin, together with its partners, eni Ghana (a subsidiary of Eni SpA) which acts as operator, and Ghana National Petroleum Company (GNPC). The Project involves the installation of subsea production systems connected by risers and flowlines to a floating production, storage and offloading vessel, and a 63km pipeline to transport gas to onshore reception facilities, where it will be compressed and injected into the Western Corridor Gas Pipeline. All of the gas produced by the OCTP fields will be sold to GNPC for domestic consumption. 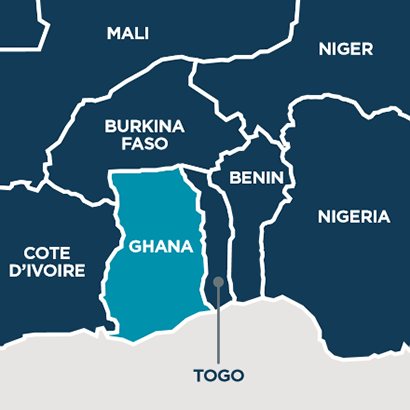 The Project is anticipated to supply enough gas to supply Ghana’s thermal power sector until 2036, and is the largest foreign direct investment to Ghana since independence. Teams from our finance, corporate, construction and arbitration practices have provided legal advice to Vitol in relation to all aspects of the Project, including a gas sales agreement with GNPC and all other commercial contracts, as well as the senior financing. Key issues for the senior financing included putting in place a structure which mitigated the counterparty risk sufficiently to make the project bankable and negotiating financing terms which recognised VUGL’s non-operator role. In order to secure the cash flows expected from gas revenue, we advised VUGL on the creation of security arrangements including a US$500 million International Development Association (IDA) guaranteed letter of credit structure supporting timely gas payments under the offtake arrangements (the largest ever IDA political risk guarantee). The up to US1.65 billion senior financing is provided by the International Finance Corporation, United Kingdom Export Finance and a commercial bank group including HSBC, Société Générale, ING, Standard Chartered Bank, Bank of China, Natixis, Mizuho and Mitsubishi UFJ Financial Group. The Multilateral Investment Guarantee Agency (MIGA) is providing some of the commercial lenders with political risk guarantee cover. The client planned to form a joint venture with an Iranian company in order to develop a petrochemical project in Iran. We used a cross-network team of lawyers from our Beijing, Hong Kong, Dubai, Paris and New York offices to provide full assistance to the client in respect of its proposed investment. 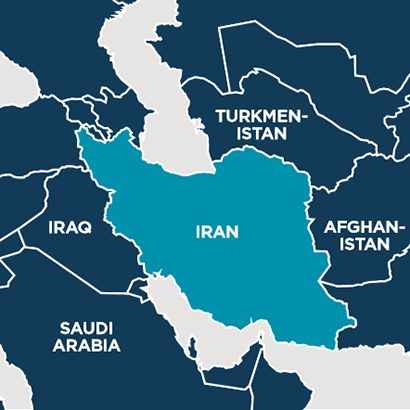 This included advice on the sanctions regime, a full due diligence exercise on the proposed Iranian counterparty and the project agreements, as well as advice on structuring, financing and the required transaction documents. We were assisted by local Iranian counsel in respect of local law advice. 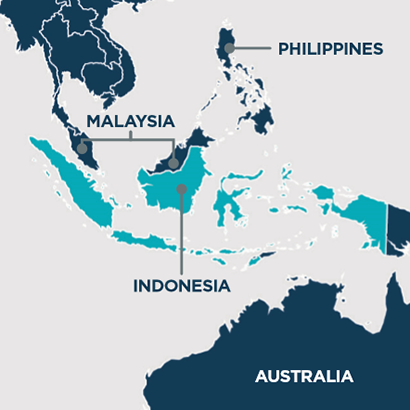 The client entered into a joint venture with an Indonesian state owned entity. The client eventually exited the project after encountering significant delays and costs resulting from disputes with local communities over land rights and issues relating to the security of transport to and from the mine site. Herbert Smith Freehills in association with its affiliate firm Hiswara Bunjamin & Tandjung advised the client on issues faced with the local community and the police, including on investigations relating to risks associated with requests for improper payments, disputed land rights and human rights abuse. is over EUR 1 billion. The Moscow central ring road is one of the largest infrastructure projects in the modern history of Russia. Section three of Moscow’s central ring road (A-113) will be a 105.3km, four-lane toll road, which will connect the M11 Moscow – St Petersburg highway with the M7 Volga. When all the five separately procured sections of Moscow’s central ring road are completed, the ring road will be around 520km long. We advised the concessionaire, a Russian construction company DSK Avtoban, on all aspects of the project during the bidding stage, commercial close and financial close. It is currently the first and only project to reach financial close under Russia’s federal PPP transport project programme in the last two years despite EU and US sanctions regimes and a difficult economic climate. Our team gained valuable and full scope experience, advising the concessionaire on the project’s first road show and initial structuring through to its commercial and financial closing in a challenging financial and political situation. In the given context we developed fundamentally new approaches to the concessionaire land title (through flexible contractual mechanism), concessionaire’s fines (to improve bankability of the project), security package (splitting of bank guarantees and optimising their costs) and uniquely designed legal regime governing maintenance (carving out the toll operator’s role). We won the award for European Infrastructure and Energy Deal of the Year for our work on the project at The Lawyer European Awards 2017. 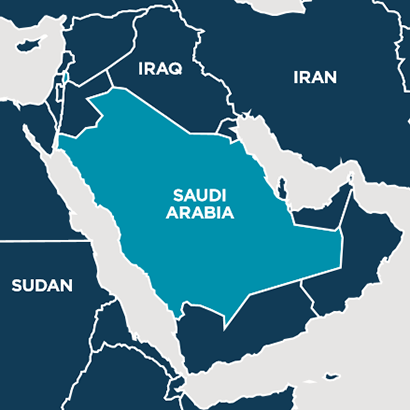 A consortium of Asian and local sponsors developed three greenfield industrial steam and electric cogeneration plants at Abqaiq, Hawiyah and Ras Tanura in Saudi Arabia. The plants were “inside-the-fence” electricity and steam cogeneration facilities converting gas supplied by Saudi Aramco into electric power and using exhaust heat from combustion gas turbines in heat recovery steam generators, to convert feedwater supplied by Saudi Aramco into steam. The aggregate capacity of the three Plants is 876 MW of power generation and approximately 3.26 million pounds per hour of steam output. The power and steam were then purchased by Saudi Aramco under long-term offtake agreements. The projects were funded by debt provided by a consortium of international and local commercial banks and an export credit agency. Our London and Dubai offices advised the sponsor consortium on the project development, construction and finance aspects of the projects, coordinating with local counsel. We led discussions and were involved in the project finance discussions with lenders through to, and beyond, financial close. The principal agreements under which the projects were implemented were three Energy Conversion Agreements (ECAs), one in relation to each plant. Each ECA was entered into between Saudi Aramco and a single project company, so that each project was constructed and operated by the same entity. Significant time was spent devising an innovative cross-default avoidance structure for the three projects that would give the banks sufficient comfort while allowing the non-defaulting projects to continue where one project defaulted. Given the structure of the projects, the EPC and O&M arrangements were complex and time-consuming. The projects won ‘Middle East Power Deal of the Year 2015’ at the IJ Global Awards, and were shortlisted in the Project Finance category at the IFLR Awards 2015. Silk Road Fund acquired a 10% stake in Sibur, Russia’s largest gas processing and petrochemical conglomerate. 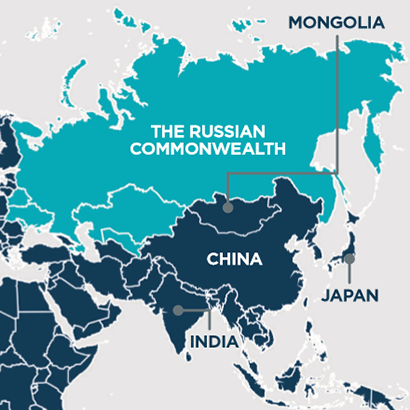 This was China’s largest investment in Russia in 2016 and an integral part of China’s One Belt, One Road economic initiative (OBOR). Our work on this deal follows our work in 2015/2016 for Silk Road Fund in acquiring a 9.9% interest in the Yamal project from Novatek. Our work included advising Silk Road Fund on all aspects of the transaction from legal due diligence and structuring advice to drafting and negotiating the full suite of transaction documents through to completions. We continue to advise Silk Road Fund on the post-completion work on this matter. Silk Road Fund had to deal with very sophisticated seller side and take into account various business and political sensitivities with particular focus on full compliance with sanctions restrictions. The acquisition required the approval of the Russian Strategic Investments Commission and our team prepared and submitted the filing and all the necessary auxiliary documents; the approval was granted in record time.This project is one of the client’s first significant outbound investments. The target runs a complex business with multi level corporate and operational structures and a large scale construction and upgrade programme. Our main task was to help our client understand this business and the risks involved, which we have done through our detailed due diligence investigation and reporting. The target shareholder group is very diverse, so we helped our clients negotiate shareholder arrangements that would satisfy the requirements of each shareholder. CEFC China Energy Company Limited invested in Abu Dhabi’s largest oil concession. 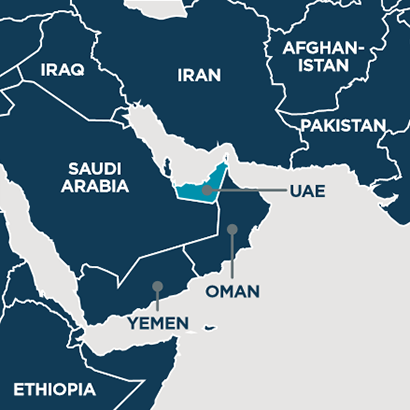 On 20 February 2017, CEFC China acquired a four per cent stake in oil-production joint venture Abu Dhabi Company for Onshore Petroleum Operations (ADCO), which produces around half of Abu Dhabi’s daily crude output. This is the first investment by a Chinese private company in an onshore concession in Abu Dhabi, a region seen as a major hub under China’s One Belt One Road initiative. CEFC China’s investment is expected to have significant long term impact on China’s energy security. We mobilised teams from our Beijing, Hong Kong and Dubai offices to provide full legal assistance to CEFC China on the ADCO concession bid. CEFC’s general risk exposure in this transaction includes the non-negotiable nature of underlying transaction documents and completion upon signing. Considering the tight timeframe of this transaction and Chinese regulators tightening up on outbound investment policies, one of the biggest challenges for CEFC is to obtain PRC outbound investment approvals before signing.